Team Fortress 2 is sinking more and more by the day. I haven’t heard of great news or feedbacks about the game lately. I don’t know about the news on TF2 Trading nowadays either and the only thing I found is that TF2 rank seems like it doesn’t matter that much. People have been debating if it is worth playing rank or not. It’s been quite some time since I said f**k that mess, I’m waiting for a fixes. Did they do anything to quitters? Can I afraid of someone leaving match at the very last seconds of the game and loose my rank progress because of that one person? Does rank depends on skill/performance? Not when I’m on the top scoreboard, I carry whole teaam but still loose and I have to loose rank bcause my team was mann co cap noobs with 50h in game. People replied that matchmaking isn’t fixed yet. Well, it is working but it is not a good system in people’s opinion. Higher ranks are still getting matched to those who are new and vice versa. It is not because people don’t want to play with them but the whole point of rank match is to play with people who have the same skill as you do, assuming. Players leave also and it seems that penalty isn’t that rough on those who do. 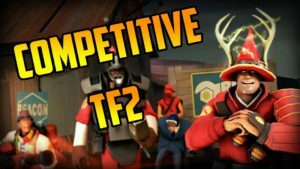 There are many deterring factors and players are questioning still if it is worth playing rank in Team Fortress 2. Some do enjoy though. If I can get more TF2 items through rank, I would play the heck out of rank. It isn’t the case though. Sadly.